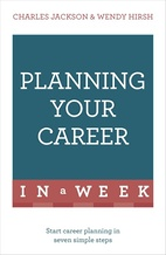 Written by Wendy Hirsh and Charles Jackson, leading experts on career planning, this book quickly teaches you the insider secrets you need to know to in order work your way to where you want to be. Sunday: What do you want from work? Monday: What kind of job would you enjoy? Tuesday: What are you good at?